This marks the first of several year-end lists that you’ll see from That Nashville Sound including a best-of song list that’s well over 100 songs deep. We’re also trying to cull down the top twenty-five or so albums from the past year out of the several hundred that were listened to. But first, we’ll cover one that isn’t normally seen across the blogosphere. 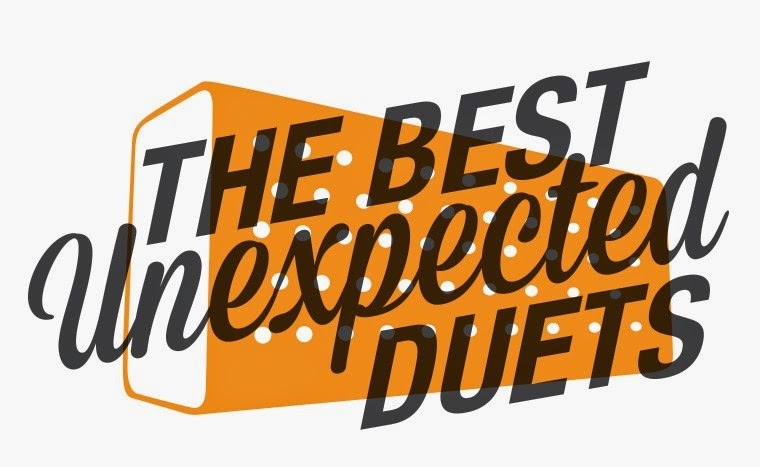 Count down with us the top ten unexpected duets and music collaborations in country music for 2014. 1. Ray Benson and Willie Nelson- “It Ain’t You” Written by Waylon Jennings and going unrecorded for decades, this little tune about getting old but still feeling you fits like a perfect glove for two country legends like Ray Benson and Willie Nelson. Self-reflective and aware of their own mortality, the message delivered by the duo couldn’t be more appropriate. 2. Reagan Boggs and Dave Coleman- “You Deserve Better” Reagan Boggs was riding a wave of critical acclaim when in 2009 she gave birth to her first son. Priorities changed and the Virginia native began to shift her focus on family as she took a break from a near constant touring schedule. She landed back this year with a brand new album called Quicksand that had this fantastic little heartbreaker gem. 4. Jimmy Rankin and Alison Krauss- “Flames” Rankin is a member of the famed Canadian family band known as The Rankin Family and Krauss has graced this list every year it’s been done. Her haunting background vocals just might be able to be added to every song I listened to and I might never get tired of them. 5. Drew Kennedy and Lori McKenna- “Rose of Jericho” Not a true duet by definition, Kennedy and McKenna wrote this song together and released separate versions on each of their own albums: Kennedy on his live album, Sad Songs Happily Played, and McKenna on her amazing project, Numbered Doors. It’s so good, we’ll make it an exception on this list. Because it’s our list. We can make up rules as we go along. 6. Ronnie Milsap and Mandy Barnett- “You Make Me Feel Brand New” Drawn from Milsap’s Summer Number Seventeen- on which he pays homage to many of the songs that influenced him during his own formative years- this Stylistics cover is made all that much better with underappreciated Nashville veteran Barnett. 7. Kacey Musgraves and Loretta Lynn- CMA Awards Performance of “You’re Lookin’ at Country” With most of today’s country awards show more interested in having pop/rock stars take center stage to satisfy some bizarre inferiority complex that they have with the country music industry, it was incredibly refreshing to see throwback Musgraves take the stage with legend Loretta Lynn at this year’s CMA Awards in front of a Grand Ole Opry background. 8. Charles Esten and Lennon and Maisy- “Believing” The ABC television series has quietly put out some of the strongest soundtrack material over the last couple of years- a testament to the music director and series producer- and this track featuring actor Charles Esten and Canadian child prodigies Lennon and Maisy shows just how. 9. Trisha Yearwood and Kelly Clarkson- “Prizefighter” That Yearwood could come back with new material and it not make a dent on the music charts or on the general country music psyche is one of the great disappointments of the year. The fact that she can add the impeccable background of vocals of Kelly Clarkson and still not do so is a darn near tragedy. 10. Blake Shelton and Ashley Monroe- “Lonely Tonight” - So it’s a big sweeping ballad that sounds like it came straight out of Diane Warren’s movie soundtrack vault. Any reason to have songstress Ashley Monroe a little country music radio airplay is a good enough reason to put it on this list for us. Great pick at number 2. "You Deserve Better" by Reagan Boggs and Dave Coleman is a true gem indeed! As a matter of fact, the album is too. Quicksand by Reagan Boggs may be one of the best albums of 2014.